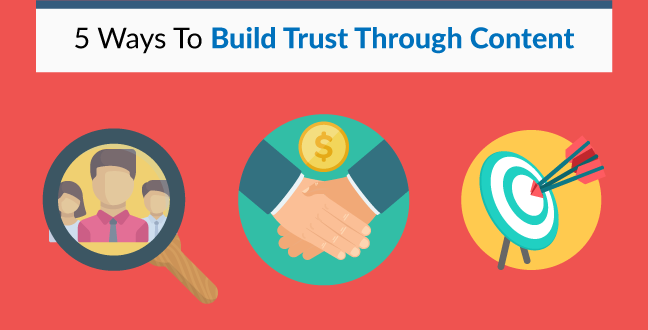 Trust is an essential component in all marketing and promotion in the 21st century. There may have been a time when people were ready to trust businesses simply because of their brand strength and messaging, but that time has long gone. In an era of scandals, fake news, global economic meltdowns and more, the next generation of consumers are better educated, more sceptical, and more motivated by a brand’s sense of purpose than their flashy advertising. That purpose may be defined in different ways by different businesses, but at its core, it is simple: to help consumers solve their problems. The question is, why should consumers with more choice than ever trust your brand’s proposed solution? Content is an excellent opportunity for you to begin to establish trust, express your purpose and promote your service in a way that is helpful, authentic and even emotionally resonant. In a time of overwhelming data and information, consumers rely increasingly on their emotional reactions to guide them when evaluating a brand. This is because when it comes down to it, we make all our decisions based on what we feel will give us the reward-feeling we seek. Trust takes time and repetition, trust takes consistency in many forms, and trust requires a transparent and genuine desire to be the motivator behind actions. Trust and respect are the cornerstone of any relationship, and a relationship with your customers will bring you increased ROI, CLV and other enticing acronyms. So, without further ado, here are my top five methods for building unshakable trust and credibility. Some believe you can create content without first knowing your audience, simply write what you know. Ricky Gervais believes in a kind of natural selection of ideas – do what you do and let the audience select the best bits for you. The problem with listening only to successful people is that you ignore most of the data set, and lose out on the valuable lessons failure can teach you. As someone who has done this the hard way, trust me: coming at things from your audience’s perspective will drastically increase your ability to establish trust. By focusing on creating only the kind of content they want, you also drastically increase the impact of your investment. Finally, by emphasizing the value, you create a real change that can help build loyalty. Your content needs to be targeted, valuable, and affecting. Your audience should know more, and what’s more, they should feel different after they’ve read it. Develop a target audience profile by analysing demographics. Data is an invaluable starting point, because it allows you to identify trends and populations. Start broad, with the average consumer in your market or industry. Break this down to see whether they are male or female, their age bracket, their economic status, level of education, average spend and number of purchases, their geographical locations. You can find this information using any number of consumer research tools. A great breakdown on how to focus this information into actionable profiles can be found here. Identify their pain points, know their question and concerns. Once we’ve done our qualitative analysis, it’s time to start sampling for qualitative insights. This is what consultants get paid the big bucks to do. You need to interview a sample of people who fall into this category – reach out to your existing customers and incentivise them to take part in an interview. Ask them what they really need, what they don’t have right now, what issues they’ve encountered with your product or service, and what frustrations they still have. Their pain points, questions, concerns and ideas will give you the basis for your content topic areas. Identify themes, and you can proliferate a whole series of content. Alleviate their problems and concerns with your expertise. This might sound simple, but to directly address and solve the problems of your audience can be more challenging than you might expect. It may well be the case that you don’t already have the answers, and you need to spend time researching to find those solutions before you can share them. The investment will be worth it, and your content will be of unquestionably higher quality as a result. If people can see the value right away, trust can be established much more quickly, and more robustly. By knowing your audience, and challenging them to think more deeply about their problems and concerns, you can identify things your broader consumer base may never have considered. The best feeling is to discover an answer to a question you never knew you had. 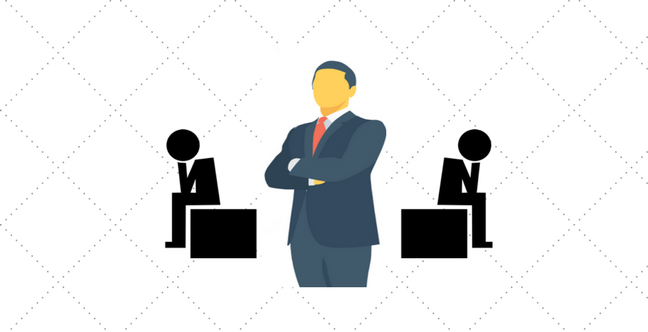 This will help you establish your authority over competitors. The lengths you’ve gone to will help your audience feel that you understand and care about them. They can begin to trust you. If section one was all about aligning your focus with that of your audience, step two is about making sure you present yourself in a way that is easily accepted by your audience. Inconsistency corrodes trust, because people can set expectations of you, which you then cannot fulfil or exceed. If you put out content in wildly different formats, with a different tone and attitude in each piece, with random stock images, released seemingly at random, you are not giving people the consistency they need. Consistency creates credibility. If you post three times a week, at standard times, with a limited number of formats, on a focused selection of topics, people can learn what to expect from you. If you can keep up the quality of insights, the visual identity, and the voice, you will soon build an audience. There is comfort in the familiar, and once people are comfortable with your style, they will keep coming back. 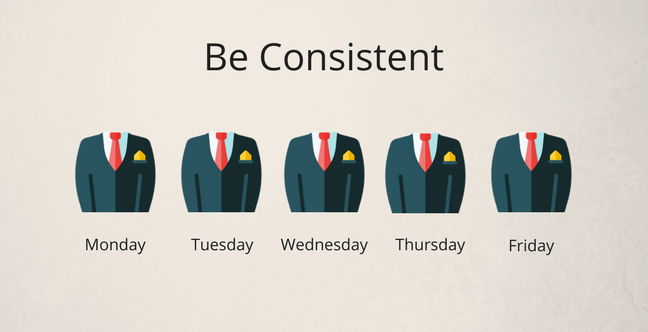 Keep in mind, this consistency needs to run not just across your content plan, but across every facet of your brand identity. Your email, social media, blog, website, your bricks and mortar spaces… think of the feeling you want to create in your customers and make sure all work toward creating that feeling through a unified approach. The objective here is to become a thought leader in your industry. Take deep dives into topics – find things other people haven’t covered. 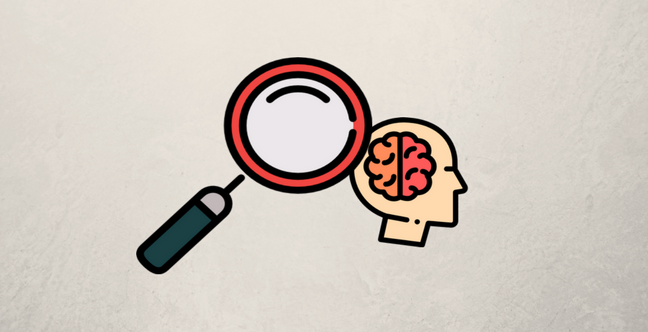 Find the areas people have missed when they cover a topic, and fill in that gap with your unique perspective. Those who can consistently lead the conversation will be legitimized in no time. Everybody makes mistakes – even an experienced PR professional, like those here at MarketersMEDIA, can trip over something fundamental every now and again. Because mistakes are inevitable, it is how we deal with those mistakes that will make the difference. So many people, and businesses most of all, seem more like they want to ‘win’ than participate in a dialogue. Cover-ups and excuses comes across like a spoilt brat trying to preserve their fragile ego. That time has long been over, and businesses must now have two-way communication to survive. This is your key to handling errors and mistakes with grace. If you have made a mistake: apologize. Outline not only the mistake, but how it was identified. Express gratitude to those who caught the mistake, because they are helping you improve. Outline how you are going to try and avoid the mistake in future, and what steps you will take to correct any damage the mistake has made. GoPro recently have consistently been honest about their faltering growth, from giving away free Hero5 cameras to people with faulty drones, to accepting a failure to market new products adequately, which has actually increased investor confidence in the company, because people see they are making changes. This approach demonstrates honesty and integrity – essential components to trust. If a customer is satisfied with the way you resolve a complaint, and other potential customers can see how pro-active and purposeful your decisions were when faced with a challenge, those potential customers will be far more likely to trust you. If you don’t do this, you will fundamentally undermine the authenticity of your brand, as you will highlight that this authenticity is an illusion designed to boost sales. Carl Sagan once said, “if you want to bake an apple pie, you must first create the universe” – it’s similar with content. If you want great content, you must first commit to being a great company, for real. Alright, it’s not my best header, but these three things are related and they’re about always bringing your approach back to being human-centred. Too much data, too much product focus, too many sales targets can confuse you as to why you’re really doing this. You’re doing this to connect with and change the lives of humans. Personality is about not coming across like a robot. It’s why I wrote a rubbish header for this section (honest). 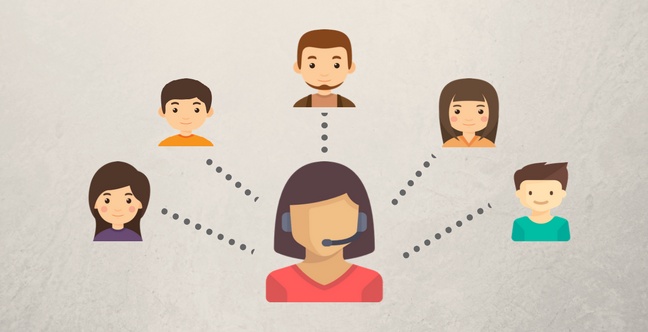 You want your customers to know there are real people behind the scenes who really want to connect with customers on behalf of the company. The old adage “people sell to people” is as powerful now as ever, and too much emphasis on the academic will put people off. Personalizing the customer experience is going to be one of the key themes for business in 2018, especially as omnichannel marketing expands its footprint and impact. In order to offer a greater sense of personalization, you need to understand your audience, their behaviour and preferences. You can then segment your content to address sub-groups of your core demographics in specific ways. This will help you reward specific groups more powerfully than trying to cover everything in a general wash.
Personableness is about making sure the personality you project is one people actually like! In the eagerness to be an authority figure, some end up coming across as pretentious or cynical. In the urge to be liked, some end up looking needy and desperate for business. Relax. Be open. If you want people to trust you, trust yourself, or your team. Include a name, a photo, and a short bio with every piece of content you post. Consider dividing your writers’ assignments by audience segment, so audiences can become a ‘fan’ of one of your writers and follow them. Finally, don’t think of content as just writing. Use video. It’s already huge and getting bigger every year, and there’s no match for the richness of audio-visual communication. It mirrors how our brains are designed to work and it shows that you’re not hiding who you are. Getting the presentation skills down to speak on camera, or even to camera, takes some practice. Invest in developing those skills. Set the tone and style of your content so even though you have different writers, they feel like part of a team. Get the team to generate these guidelines then agree to them – a working social content that aligns everyone behind a joint mission. I said earlier that great content comes from great companies. Some businesses don’t like to let their customers in on the goings on of their companies. Ask Apple about their latest scandal, and you can see it works out really well in the long run. So-called black box businesses rob customers of opportunities to connect. The less information people have, the more guesses and assumptions they will make. In a time where scepticism of businesses is at an all time high, those guesses are unlikely to be favourable. A lot of work is being done right now to help businesses understand how ethics and social purpose can generate major PR victories. 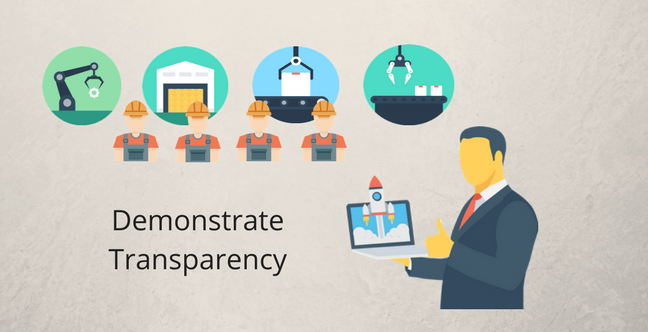 The secret sauce here is transparency. Be honest about what you do and how you do it, and consumers will trust you more quickly, and more deeply. It’s already happening, and it’s already having a positive effect. If there’s one trend I hope will blow up in 2018, it’s transparency. Content is a great opportunity to share your process with your customers. This allows them to feel involved and invested in your success, and see how you are building your future with them in mind. Businesses that are successful in creating trust will be the ones that take the time to go deep on research, tailor their content, then produce with it with care and a genuine interest in solving consumers’ problems. Building trust takes time, hard work, and commitment – just like in any other relationship. But, like any other relationship, that investment is always worth it. Consumers who trust the business will come back time and again, they will champion the brand to their friends, they will defend it against critics, they will forgive it for failings and they will share joy in its successes. This is something every business should want, and it all starts with trust. I hope this article has helped you understand how to build it. Do you a trust success story from operating your business? Share it in the comments below!